Posted on May 2, 2014 by admin	Posted in What is "Yellow Emerald"
Recently we had the opportunity and good fortune to travel by plane and ship to a number of Asian countries. Of great interest along the way were of course gems, mainly of the coloured stone variety. In the Silom Road district of Bangkok, Thailand, we had just missed a gem fair which had moved on to Hong Kong. However a number of the exhibitors were still in place in the “Jewelry Trading Centre”. The variety of coloured gemstones from all over the world has to be seen to be believed. Overall though, what took my interest was what I initially thought was a new gemstone or species called “Yellow Emerald”. It turned out to be a trademark for one of the Beryl group, known normally as golden beryl. This was of interest to us because it was being demonstrated and marketed on board ship as almost a new gem found only in a specific mine in Brazil and found whilst looking for the green emerald (at least my initial impression). Most of the pieces were beautifully set in rings, pendants and ear rings with gold and silver settings and diamond accents. There were also loose gems available. We had the opportunity to pick up some gemstones cut from my previously supplied rough, in Bangkok, a few days before the “Yellow Emerald” presentation on board ship, so I was able to take along my now cut golden beryl gem, knowing the rough had come from Nigeria, and compare it directly with a loose gem. Needless to say the comparison was a match with my golden beryl gem a deeper and more pleasant yellow shade. Admittedly “golden beryl” is a fine gem and usually clear and less likely to chip in a ring setting than the green emerald. As early as AD 1220 the benefits of beryl were well known in legends. Beryl provided help against enemies in battle or legal action, made the wearer invincible and at the same time sociable and friendly. It also sharpened the wearer’s mind and cured lethargy. However today beryl is still rated prominently but nowadays for aesthetic reasons. The variety of colours in which it is found, it’s wonderful clarity (except for emerald), it’s brilliance. Durability has given the various varieties of beryl tremendous appeal. A lot of people are familiar with the blue variety of beryl, aquamarine, and green variety emerald. Not that many know about the pink variety, morganite and the beautiful yellow to yellow-green variety, referred to as golden beryl. These gems have only recently found their place in jewelry worldwide. While not inexpensive, they still offer excellent value and beauty. Beryl has also been found in many other colours such as lilac, salmon, orange, sea green as well as colourless. The rarest colour is red, which is even rarer than emerald and is similar in cost. It is a beautiful gem and would be loved and appreciated by anyone lucky enough to own one. Because emeralds are perceived as well-known and valuable beryl gemstones, vendors try to associate golden beryl gemstones with the valuable and well-known “emerald” by calling golden beryl gemstones yellow emeralds. Most emeralds these days are treated and oil filed, which should make some of them affordable as long as it is disclosed. Untreated natural emeralds are now rare and difficult to find and very expensive. Yellow Emeralds are in the beryl family of minerals typically grown as hexagonal crystals with a Mohs scale of hardness of 7.5-8. 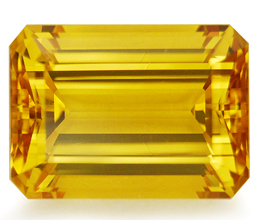 This variety of beryl is known as golden beryl and sometimes yellow beryl, usually named such dependent on the shade of the yellow colour. Deposits are found in Brazil, Madagascar, Nambia, Nigeria, Zimbabwe and Sri Lanka. 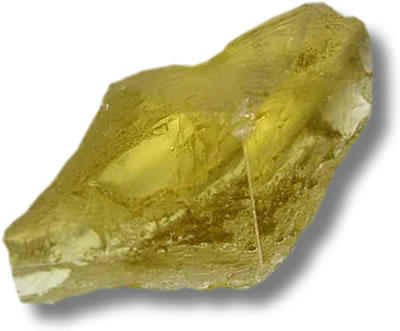 Golden beryl colour varies between lemon-yellow and a golden-yellow. Inclusions are rare. 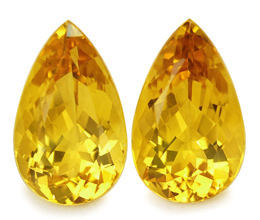 Currently (Mar 2014) reasonable prices per carat for cut “top grade” golden beryl (Yellow to brownish yellow) gemstones are in the range: 1 to under 5 carats at US$100 – 175. Whereas for emerald (yellow-green to blue green) range 1 to under 2 carats US$750 – 13,000 and 2 to under 4 carats US$1,250 – 22,500. Additionally emeralds untreated in the categories GOOD add 10% – 25%, for FINE add 25% – 50% and for extra fine add 50% and up. Then for slight treatment, 0%, for moderate treatment anywhere from -5% to -25% and extensive treatment from -15% to -35%. “With yellow emerald jewelry swiftly becoming the gem of choice for confident, fashion-forward women everywhere, there’s no reason not to show some self-love and treat your-self to this dazzling trend! Yellow emerald pendants, rings and earrings are at the forefront of sparkling fashion- so why not give your-self some-time in the sunny radiance of this golden gem? Well why not buy a piece of yellow sunshine and have it designed into your own pendant or ring with or without accents. As mentioned above most gem buyers are well acquainted with the most famous members of the beryl family– emerald and aquamarine. Some are also familiar with the salmon pink beryl known as morganite (after the American banker and gem collector, J.P. Morgan). But there is a lesser known member of the beryl family which is actually the most available and affordable: golden beryl. The first major deposit of the yellow golden beryl was found in Namibia in 1913 by a German mining company. They named it heliodor from the Greek for “gift from the sun,” and hired a famous designer, Lucas von Cranach, to create a fabulous set of jewelry for Kaiser Wilhem II of Germany and his wife. Heliodor gained international fame as a result, but it proved to be short lived as the war intervened. Heliodor was soon forgotten. Golden Beryl is part of the largest gemstone family, the beryl family. The beryl family is also called “the mother of all gemstones.” This particular family of gemstone is very popular because of the offered brilliant colors, its 8.0 hardness on the Mohs scale, and high brilliance. They are definitely considered the best for gemstone jewelry. The yellow beryl has hexagonal crystals and vertical striated surfaces which are found in large deposits have been found in Brazil, Madagascar, Namibia, Nigeria, Sri Lanka and Zimbabwe. Golden beryl colors range from the weak yellow-green of heliodor to lemon-yellow and golden-yellow. The coloring agent is iron. Although it isn’t well known, golden beryl has an illustrious pedigree. Like people, gems come in closely related families. One of the most important gem families is beryl. With a trace of chromium to bestow a fabulous green, beryl becomes emerald, the rare and valuable green gem. If instead, nature includes a trace of iron in one valence state, beryl is aquamarine. If the iron in beryl has a different valence state, it isn’t pale blue: it turns a rich golden yellow. Golden beryl is as brilliant as aquamarine, with a warm sunny color. Pictures: Golden Beryl Rough, Golden Beryl Emerald Cut 9.53ct and Golden Emerald Pair shape cut for ear rings at 16.63ct.